In the district of Uttrakhand, India there are many places to visit. Gangotri National Park is of them. 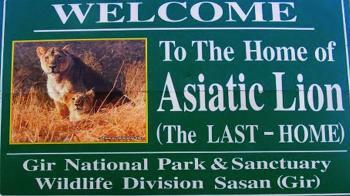 This national park is located in Uttarkashi. This park covers an area of 2390 sq. km. The elevation of this place is 7083 mt. The ideal duration of this place is 2-4 hours. There are many attractions in this park. The major attractions are Snow leopards, Ibex, Thar, Himalayan Barbet, Tiger, Serow. The another attraction of this park is that there is origin place of ganga river inside the national park i.e the Gomukh glacier. This park was established as national park in the year of 1989. This park is best for Nature Lovers andPhoto Fanatics. There are different species of flora and fauna in this park. 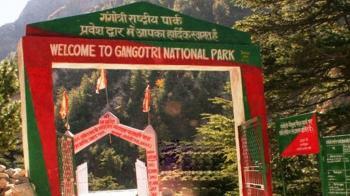 The Park is named after Gangotri, which is famous as one of the four pilgrim sites. This Park is a vital link between Kedarnath National Park and Govind National Park. In the of Gujrat, India there are many places to visit. Vansda National Park is one of them. 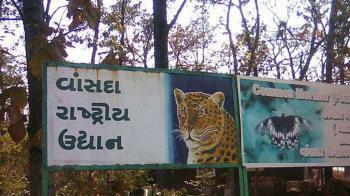 This national park is situated in the Navsari district. Vansda National Park is a beautiful place. This place is good for Photo Fanatics, Nature Lovers, Fun Lovers, Adventure lovers. The ideal duration of this national park is 1-2 hours. This park covers the area of 24 sq. km. There are many attractions in this park. Major attractions are Leopards, four-horned antelope,barking deer, giant squirrel, hyena. This park is actually a private forest of Maharaja of Vansada. This park was established in the year of 1979. The park remains closed during monsoon. As per the record in this park Not a single tree has been cut since 1952. Gir Forest National and Wildlife Sanctuary was established in 1965 and is located near Talal Gir in Gujrat, covering an area of 1412 sq km of which 258 sq km is protected area of national park. 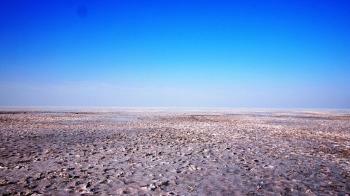 The park is 43 km north-east of Somnath, 65 km south-east of Jnagadh and 60 km south-west of Amreli. The efforts of the government forest department, wildlife activists and NGOs result that the ecosystem of Gir with diverse flora and fauna are protected. The park area was the haunting ground for the Nawab of Junagadh. By facing drastic drop in the population of lion in Gir, Nawab Sir Muhammad Rasul Khanji Babi declared Gir as a "protected" area in 1900. In the State of Gujrat, India there is a town known as Dwarka where the Dwarkadhish Temple is located. This temple is build in 15 Century. It is One of the four pilgrimages of the Hindus where can easily reach by regular buses. The main temple at Dwarka, situated on Gomti creek. 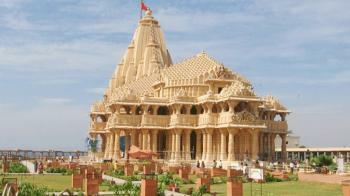 Dwarkadhish Temple is also known as Jagat Madir or Trilok Sundar. This temple is dedicated to Lord Krishna. Lord Krishna is also called by Dwarkadhish and the king of Dwarka. This temple is also known as Nija Mandir or Jagat Mandir which has 5-storied building, supported by 72 pillars. Dwarakadheesh is the 108th Divya Desam of Lord Vishnu on the subcontinent. Dwarka is also called as Capital of Lord Krishna. Dwarka which was known as Suvarna Dwarka had been very prosperous. The temple has rich carvings. It is one of the important Moksh Dhams. The Gomti River flows nearby. The temple is built of soft limestone and consists of a sanctum, vestibule and a rectangular hall with porches on three sides. There are two gateways: Swarga Dwar where pilgrims enter. Moksha Dwar where pilgrims exit. By Vajranabh the original temple was constructed. He was the great grand son of Krishna. Dwarka was Situated on the banks of river Gomti. The current temple in Chalukya style which is constructed in 15th century. The tallest peak of the temple is 51.8 m high. Kankaria Lake is the largest lake in the city and is located in the southern part in Maninagar area which is in Ahmedabad state of Gujarat, India. Today, the lake is a popular picnic spot with lighted walkways and food corners. Perfect place for folks of all ages. In the early morning people come here for walking and jogging. If you are looking for multiple entertaining option then this is one of the best rejuvenating place. There's zoological garden, amusement rides, museum, water sports, boating, laser show, water rides, paragliding, food court and much more things to enjoy. 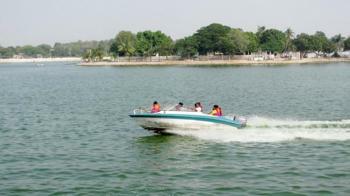 Its an awesome place in Ahmedabad for full day get pleasure for family and couple. The complex also encloses the Kankaria Zoo, Balvatika, Kids City, Toy Train, Butterfly Park, Aquarium, Stone Mural Park, Tree Walk, Mini Golf Course, Mirror Maze, Target Archery, Jaldhara Water Park, Desert Safari and much more. As the day comes to an end , the lake is lit up with colourful lights. It makes for an amazing sight.